Miguel Suazo is an energy and natural resources attorney with a decade of experience in energy, natural resources, government, and business. As founding partner at Landrith, Lehrbass, Suazo & Goos, LLP, Miguel is responsible for advising clients on a broad range of energy and natural resources matters in Texas and New Mexico. Miguel’s practice focuses on advising clients on operations on state and federal lands, compliance with regulations enforced by the Texas Railroad Commission, the Texas Commission on Environmental Quality, the New Mexico Oil Conservation Division, the New Mexico State Land Office, the Office of the New Mexico State Engineer, the New Mexico Environmental Department, the United States Bureau of Land Management, the Environmental Protection Agency, and the United States Department of Interior. Miguel’s natural resources experience began at an early age. Born in Las Vegas, New Mexico, Miguel grew up a true steward of the land as part of the seventh generation to work his family’s northeastern New Mexico cattle ranch. Miguel attended New Mexico Military Institute and subsequently earned his bachelors degree from Georgetown University in Washington, DC. 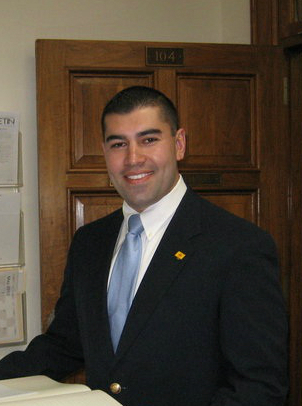 After college, Miguel worked in Washington, DC and New Mexico as an aide to United States Senator Jeff Bingaman, Chairman of the United States Senate Committee on Energy and Natural Resources. Miguel earned his law degree from the University of New Mexico where he focused his legal education on natural resources and business law. Subsequently, Miguel worked as Energy and Environment Associate with Wellford Energy where he assisted a broad range of clean energy companies develop from pilot and demonstration scale to commercial scale companies. Miguel’s passion for assisting young companies led him the Biotechnology Industry Organization (BIO) where he dedicated his work to assisting biotechnology companies understand policy and regulatory matters related to the United States Departments of Agriculture, Energy, Defense, and the Environmental Protection Agency. Prior to becoming a partner at LLSG, Miguel practiced oil and gas law for a prominent Houston oil and gas law firm. Miguel is also the Executive Director for Young Professionals in Energy for the State of New Mexico and works to educate New Mexico’s youth about careers in energy-related fields. Claire Chase is the Director, Government Affairs for Mack Energy Corporation, a family owned, independent oil and gas company headquartered in Artesia, New Mexico. Through an ever expanding global thirst for energy, Mack Energy Corp. endeavors to lead the industry in the exploration and production of oil and natural gas and Claire’s primary focus is ensuring a local, state, and federal environment friendly to that development. A Roswell, NM native, Claire was raised in southeast New Mexico’s oil patch. She got an early education in the oil and gas business from her father by frequently going on site with him during his exploration projects in the Permian Basin of New Mexico and west Texas. As a result, she is passionate about the industry and its impact on New Mexico’s economy. Claire graduated from New Mexico Military Institute high school and went on to New Mexico State University where she received her B.A. degree in Journalism & Mass Communications and was also an NCAA scholarship athlete. After graduation, Claire worked in New Mexico for several years, first with the Association of Commerce and Industry, and then with the New Mexico Finance Authority. Both of these positions gave her exposure to the state’s legislative and executive operations. Claire joined US Congressman Steve Pearce’s Washington D.C. staff in January of 2011, upon his reelection. She was first hired as a Legislative Assistant covering the Agriculture, Education, Healthcare and Tax portfolios. Within 6 months, she was promoted to Senior Legislative Assistant and took on the Natural Resources and Energy portfolios, as well as handling the Congressman’s Financial Services Committee work. In February, 2013, Claire transitioned back to her home region to take on the role of Deputy District Director for Congressman Pearce. In this capacity, Claire was responsible for constituent services and communications for the eastern half of the 2nd Congressional district, from Portales to Jal, and west to Lincoln County. She remained primarily focused on Agriculture, Energy and Natural Resource issues. 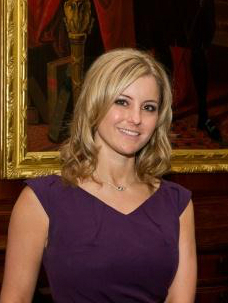 Claire is the Vice President of Young Professionals in Energy for the State of New Mexico. Claire now resides in Artesia, NM with her husband, three dogs and two horses.